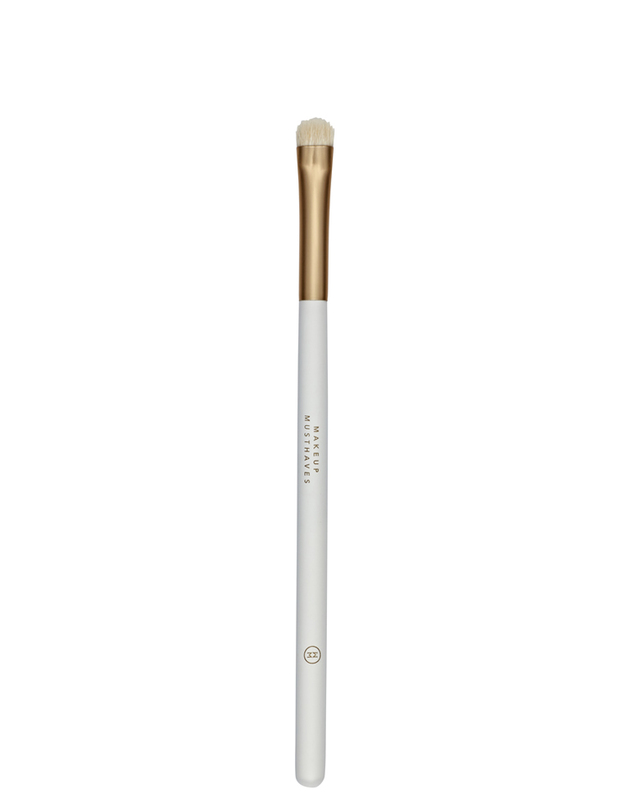 Goat hair, using the shortest compacted fibres, this small yet firmer brush is designed to hold onto the eyeshadow pigment and keep it where it should be. To add dark detail or intensify the outer socket area with a two or three toned eye look. To open eyes through smudging and lining of the lash line. For a two-toned eye look, dip the tip of the brush into your eyeshadow pigment and tap off the excess. Place the colour in a V shape along the lash line into the outer corner of your eye and then up into socket line using the tip of your brush. Add more colour with the flat of the brush, one third of the way across the lid before blending. For a three-toned eye look, use the tip of the brush and dip into your darkest pigment, press the colour over half of the area you have already pressed over then blend. Make your eyes really stand out by sweeping your detail brush under your bottom lash line, starting at the outer corner and work your way inwards. This brush can also be used to make eyes appear bigger and more intense by sweeping your detail brush under your bottom lash line. Start at the outer corner and work your way inwards almost like you are lining the lash line.